So what is a Bentayga? 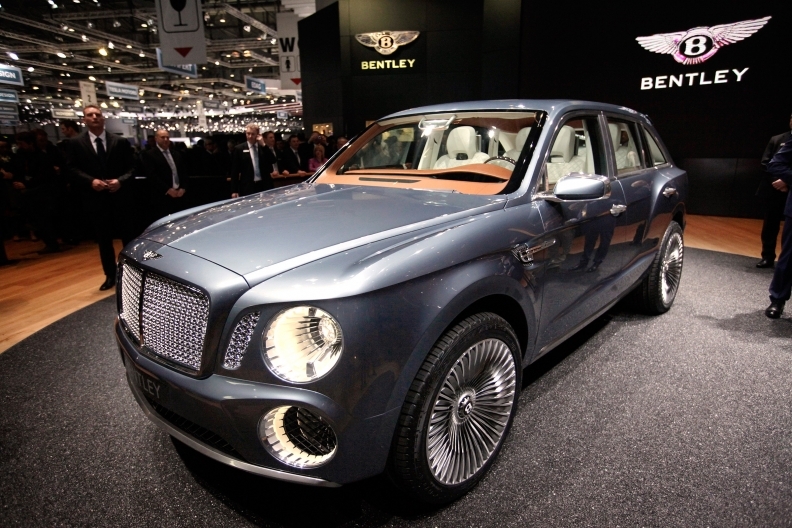 The Bentley SUV -- then named EXP 9 F -- when it was introduced at the Geneva auto show in March 2012. DETROIT -- When it comes to quirky names for SUVs, Volkswagen Group has the market pretty well cornered. This is the German company that dreamed up the Touareg, named for the nomadic Tuareg people of North Africa, and Tiguan, a combination of the words tiger and iguana. Both wear the Volkswagen brand. They’re the sort of names that send journalists scrambling to Google for a quick spell check. Now we can add a new head-scratcher to the list: the Bentley Bentayga. That’s what Bentley is christening its first-ever SUV, which will be introduced later this year and will go on sale in 2016. 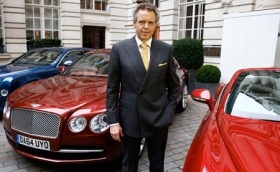 Bentley, owned by Volkswagen, announced the name at a Detroit auto show press conference Monday. At first blush, Bentayga seemed like a good name for a new pain reliever. Bengay, anyone? Bentley CEO Wolfgang Durheimer on the Bentayga: "It will be the Bentley of SUVs." The company’s founder, for those not up on their history, is W.O. Bentley. So that’s three elements crammed into one eight-letter name. Come to think of it, VW and its brands don’t have a monopoly on ... uh ... interesting SUV names. When Cadillac launched the Escalade in the late 1990s, it sounded like a great name for a new pine-scented air freshener. But these days, the Escalade name seems like it has always been around. And however odd the Bentayga name might seem at first, we can all be grateful for one thing: Bentley didn’t saddle us with another alphanumeric/alphabet soup name to remember.